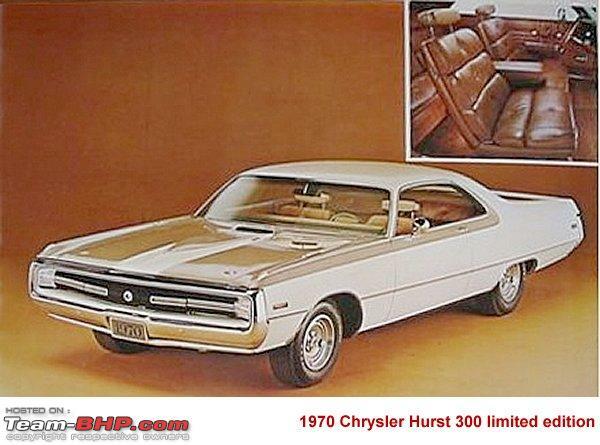 The Chrysler-Plymouth Division is pleased to announce a limited edition, special model Chrysler--the 300H. This car has been developed in conjunction with the Hurst Performance Corp. the H reference in the car's name is to Hurst) and is based on the concept of the original letter series Chrysler 300s of the late fifties. The 300H features a distinctive exterior appearance and an interior of saddle color leather bucket seats. Exterior distinctions include a specially designed fiberglass powerbulge hood with a functional air scoop and two depressed rotary hood latches. The deck and rear end caps have also been done in fiberglass to create fast-sweep character lines and an integrated wing-type rear spoiler. Exterior finish is available in one color scheme--spinnaker whie with satin tan color accents and special striping. 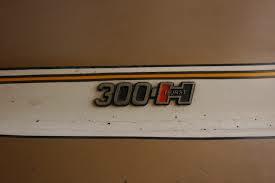 Mechanically, the 300H follows the tradition of its letter series predecessors. 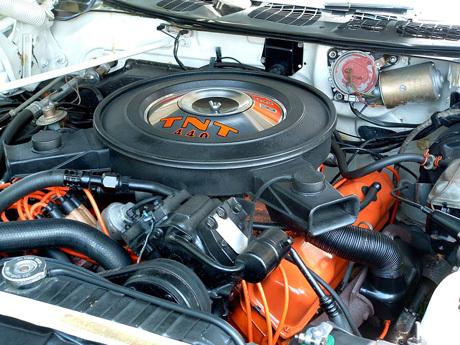 Standard power is the spirited but roadable 440 TNT engine which is teamed with torqueflite and a 3.23 ratio rear axle. Two additional convertibles are said to be made, one of which is probably seen in the picture further below. 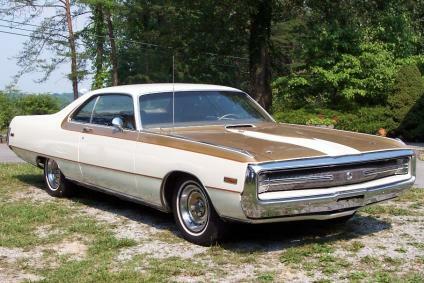 With a base price of $ 5,842 it was the most expensive Chrysler in 1970 (except Imperials). One story is that the first Convertible was destroyed in a crash, and a second was made to replace it. 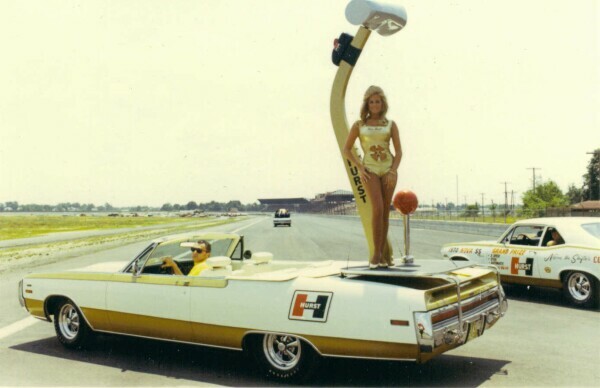 1970 Chrysler 300 Hurst convertible serving as Hurst shifter parade float, featuring then Miss Hurst, Linda Vaughn. Location is probably old Riverside race track.